This exhibit commemorates the loss of Bas Jan Ader in 1957, curated by Brad Spence. The artist taught at, and created and exhibited work at the University of California, Irvine. 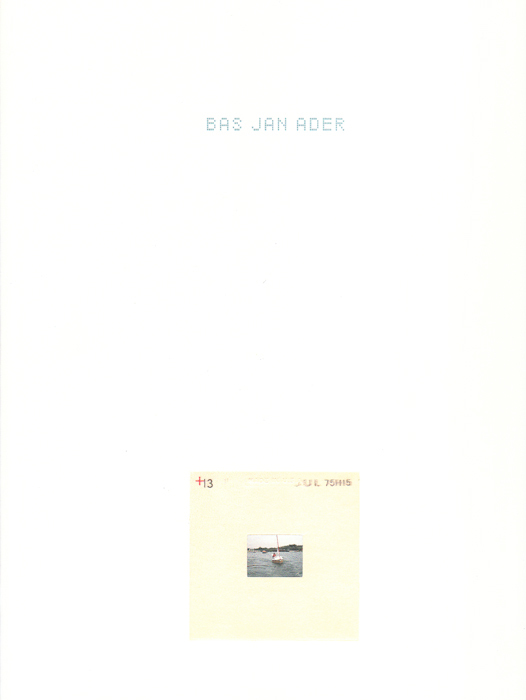 The exhibition catalogue recognizes and honors the diverse works of Bas Jan Ader. Born in the Netherlands but living in California, the artist's works became uniquely defined by both his Los Angeles and Dutch identity, creating a unique hybrid of American and European art.